This site is pretty much dead. I haven't made any "real" changes since November 2003. I will not delete the site, please surf around & enjoy yourself ! I will continue to add/update the cars for sale section. 17 December 2004 - Steve Chapman's 1973 MG Midget is for sale. A quick & pretty car! 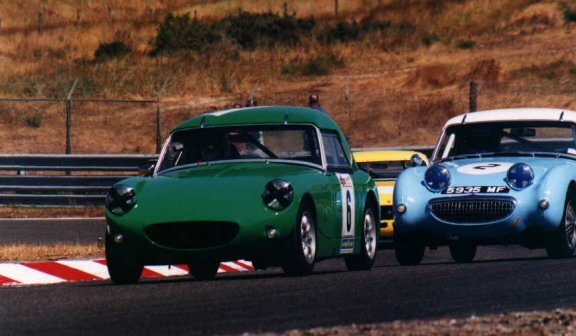 25 January 2004 - Malcolm Self's Sebring Sprite is for sale. -It has now been sold ! 15 January 2003 - The race Calander for 2004 is available. - Ian Hulett get another fastest lap in the table. - I updated the fastest driver table. - I've updated the drivers standings. 15 October - We have a New car for sale . 2 September - I updated the fastest driver table. - and there's YET ANOTHER for John Faux in the fastest laps table. 1 September - I've updated the drivers standings. 31 August - I added the details for the Dijon Race. 13 August - I updated the fastest driver table. - and there's another entry for John Faux in the fastest laps table. 12 August - I Added an updated drivers standings including corrections & the points from Clermont Ferand. - Added race results from the Montlhery Race 2 . -IMPORTANT ! The Dijon Date has changed again, back to its original date ! Click here for the latest race calendar & buy a pencil for your calander. 6 August - Added a race report for Clermont Ferrand weekend from John Moon. - Added race results from the Montlhery Race 1 . - I updated the fastest laps table. Welcome Ian Whitt ! 14 June - I finally added the details for the Montlhéry Race , See what 2 weeks holiday does for you ! - Results available for Spa Race 1 , Race 2 & Race 3. - Fastest Laps table has been updated - I'll be doing that a LOT this year ! 30 May - I finally wrote the race report for Spa 2003. 19 May - As a prelude to the race report, I've added the pictures for Spa 2003. 12 May - I've just added a couple of new Drivers profiles.  - Since we now have our 2nd Speedwell sprite registered with us, I have added a Speedwell page to the Picture Gallery. - Welcome to Robert Kansa & "Tinkerbell". I've just added them to the Vistors section in the Picture Gallery. 6 April - Race details for Spa have been released. 18 February - The Final date has been FINALIZED for our 2003 Race Calender . Please make sure you have the correct dates in your diaries. - I've added a couple more drivers to the evergrowing list of 2003 competitors. 8 January - Another great car on the Cars for Sale page. Buy one, before they're all gone ! 6 January - Another nice car on our Cars for Sale page. Price & contact details as soon as I have them ! 2 December - The prices for 2003 are Official ! Check them out here . 23 November - Congratulations, John Faux, Mark Dols & Antonio Bertini. The Winners of the Euro Tour, Mini Champ & Fastest European Driver, respectively. Full results for the Euro Tour & Mini Champ are available Here And the times for the Fastest Driver are available Here. - I've posted the various missing results Dijon Race 1, Dijon Race 2, Le Mans Race 1, Le Mans Race 2. 6 November - Ian Johnson our racing reporter has written a proper race report for Le Mans. 3 November - The various forms you will need for 2003 have been updated. Please, feel free to download what you need from the Forms page. - Ian Johnson has written a Pre-race report for Le Mans. - Stéphane Chaissangs car has been sold & Andrew McGees is for sale on the Cars for sale page. 27 October - A price change for Graham Bloors Frogeye, on our Cars for sale page. the Fastest drivers standings have been updated. - He's also written a Press report for the Dijon Race He can write quicker than he drives !! - Details added for the Dijon Race - Sorry for the delay -( My fault - Steve)! 2 September - Added a Zandvoort Race report. - A subscribe/unsubscribe option to our newsletter added. It's the annoying box which appears every time you enter the site ! 28 August - Results available for Zandvoort Race 1 & Race 2. - Updated the Fastest laps table. - Added some pics to a great Car for sale. 20 August - Yet another new race car for sale in the For Sale section. Can we make it a round 20 in the next few weeks ? 17 August - I got sent some pictures for the Magny Cours race. 13 August - 3 new cars in the For Sale section. One of them may shock you ! 7 August - Added details for the Zandvoort weekend. 1 August - Added a report for the Nordschleife race. 31 July - The results for Nordschleife. - The current drivers standings. - The Fastest drivers standings have been added. - & The Fastest Laps table has been modified - Welcome John Faux ! 8 July - FINALLY ! The results for Magny Cours are here Race 1 and Race 2. 3 July - FINALLY ! Added The drivers standings after the Magny Cours results have been finalised. - Added Fastest Driver Standings after the Magny Cours results have been finalised. - SORRY ! Still no actual results. I haven't received any. As soon as I do they will be on the site ! 23 June - The details for the 2003 Spa world record event are already available. - I added a new screensaver to the downloads page. It's large & will take sometime to download !!! - Added Fastest Driver Standings. - Added Race report for Spa 2002. - I've added a few more Team profiles. No pressure Conrad, but you're the only current driver I don't have any details on !! 12 February - The final race date/venue has been confirmed. THIS IS A BRILLIANT RACE CALENDER !! I don't see how this can be improved.... check it out for yourself via this link ->h 2002 Race Calendar . 11 February - The race date for Magny Cours has changed. See the new 2002 Race Calendar . 3 February - Some teams have been added to the 2002 Entrants list .